Stratstone, the leading luxury automotive retailer in the UK, has 59 showrooms across Britain with both new and used cars. The company stocks over 20,000 pre-owned vehicles, made by more than 30 premium car manufacturers. In Stratstone dealerships, you’ll also find new models from the likes of Aston Martin, Jaguar, Nissan and Porsche. With Stratstone, petrol heads, families, individuals and racing enthusiasts can all find something of interest in their extensive collection of cars. Priding themselves on providing national coverage, the group shares their expertise across large sections of England and Wales. Whether you live in London, Cardiff, Swansea or Gloucestershire, Stratstone has car on sale to suit many needs. The company began life in 1921 after the founders, Stratton and Instone, acquired control of car manufacturer Daimler’s London depot. 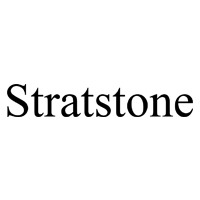 Their partnership formed Stratton-Instone Limited, which helped shape the company we know today. They also gained a royal warrant to provide a fleet of limousines for King George V.
In 1929, Joseph Mackle took control of the business, changing the company name to Stratstone. The Thomas Tiling Group went on to acquire Stratstone in 1938, and it was made a private company in 1982. Pendragon PLC made the acquisition of Stratstone in 1992 and together they stand amongst the leading automotive retailers. Customers at Stratstone are well catered for with a vast range of new and used cars. They have vehicles for everyday use, luxury cars and renowned sports cars, with a large variety of brands and models in each category. They even sell motorcycles. Audi, BMW, Fiat and Land Rover are just a few cars you’ll find in their outlets.